Materials:Iron powder, iron ore powder, coal powder, urea powder, copper ore powder, aluminum powder, mill scale, manganese powder, fluorite powder, steel powder, ferrosilicon powder, nickel alloy powder, etc. 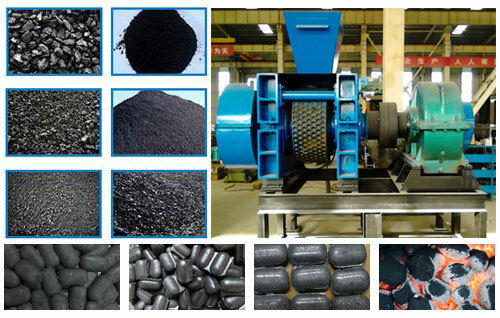 Briquetting machine is an ideal mechanical equipment designed for processing powdery materials, such as nonferrous metal powder and mineral powders, including iron powder, iron ore powder, coal powder, urea powder, copper ore powder, aluminum powder, mill scale, manganese powder, fluorite powder, steel powder, ferrosilicon powder, nickel alloy powder, etc. into briquettes. Through being made into briquettes, these wasted powder can be reused in various industries, hence increasing additional value of mineral resources. 1. 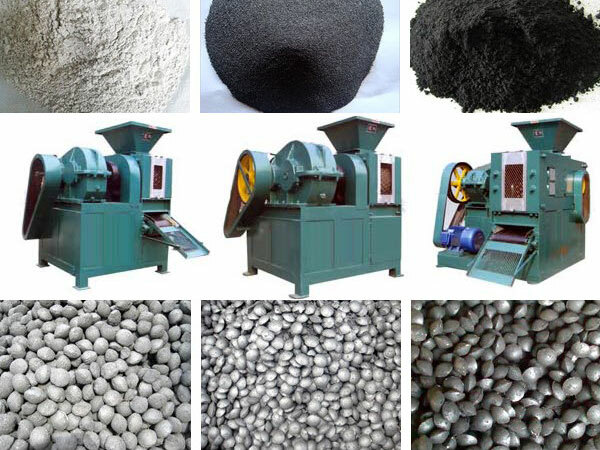 Raw material can be process: Iron ore, manganese, chromium, nickel, iron concentrate fines, silicon manganese alloy, Iron scale, silicon carbide, manganese mineral powder, phosphorite ore, kaolin and other kinds mineral powders. 2. The materials size and moisture requests before briquetting: In order to ensure the good quality and mechanical strength of the final product, special care should be taken to ensure that the granule size fed to the machine is maintained below 3mm, preferably in the range of 30-40% smaller than 1–2 mm, with no more than 10% over 2 mm. 1. Shape: can be round, pillow, oval. 2. Size: changeable size 25mm-60mm, made according to clients requests. Fote briquette machine is proud of that the finished briquettes come with high intensity, great convenience for transportation and various shapes. Custom-made shape is also available. Additionally, the briquettes made by this nonferrous metal powder forming equipment can be used in blast furnace process and metal smelting as chemical and smelting auxiliary material. Since that, this briquette making machine has found wide application in coal industry, metallurgy industry, chemical industry, etc. 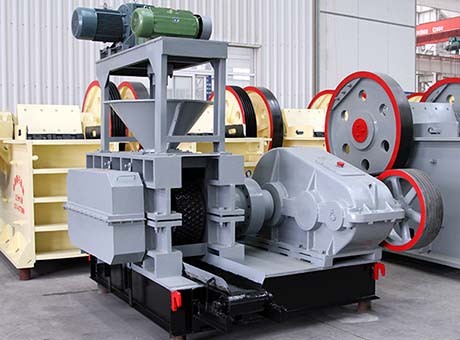 To be specific, the steel plants can supply mill scale briquettes made using this briquetting equipment to chemical plants for manufacturing ferrosilicon. Aluminum briquettes can be put into smelting furnace for extracting aluminum. Fluorite briquettes can be used as cosolvent for making steel. Fote briquette press machine can perfectly turn waste powder into useful briquettes used for metal smelting, etc. 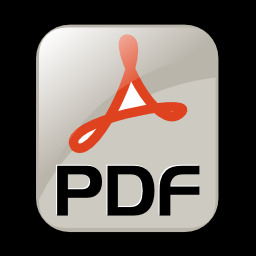 thus helping you make full use of mineral resources. 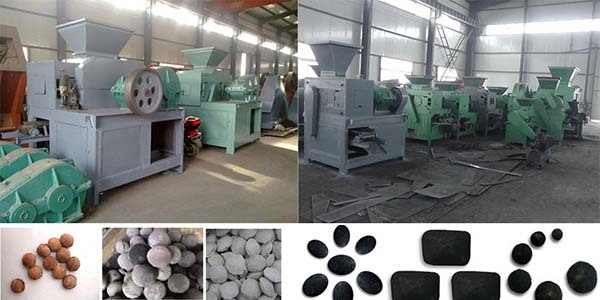 Fote briquetting machine has obtained great encouragement from the country and enterprises in that it can create considerable benefit for the enterprises while making mineral resources into full use.